Oil changes at the proper time are critical to the life of your car. 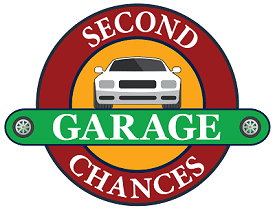 If you qualify, you may be eligible for SCG to change your oil on the factory recommended interval at no charge to you! Fill out the qualification form and we will call you to make an appointment. I qualify because I receive food stamps, TCA, or other welfare assistance My gross annual income does not exceed amounts listed on the website. Terms and Conditions - Labor Rate: $50 per hour - You will receive an estimate for your repair. We will call with an estimate and get your approval for any additonal work. Repairs will not be started until we have received your approval. - There may be a charge to diagnose repairs needed. This charge varies on the work requested. -Full payment is due when you pick up your car and can be made by cash or debit/credit card. We do not accept checks. -We do not have space to store vehicles overnight. There will be a $5 per night storage charge if you cannot pay for and pick up your vehicle when repairs are complete.